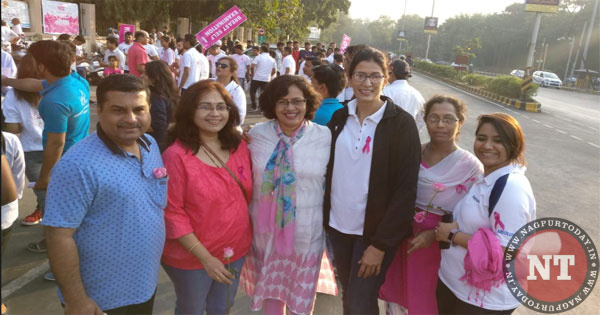 Nagpur: ‘Pink Walk’ for breast cancer awareness was held today on Sunday in Nagpur. Joined by Mayor Nanda Jichkar among thousands of Nagpurian’s, prominently present were Dr Viral Kamdar, Director Deendayal Medical Trust, Dr Santosh Kumar Mishra, CRPF DIG ( Medical) and Devyani Joshi . 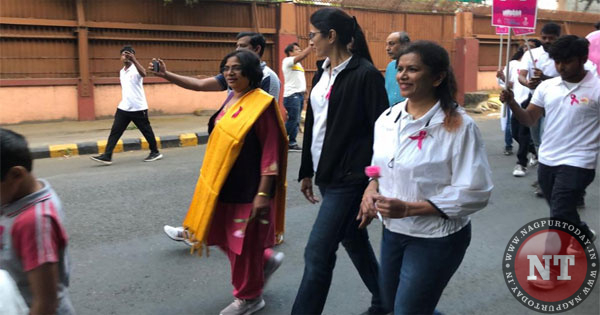 A Brain child of Dr Rohini Patil, one of the leading city Gynaecologists and one of the lucky few who self detected her breast cancer 16 years ago, Walk began begin from Tirpude college in the Morning. 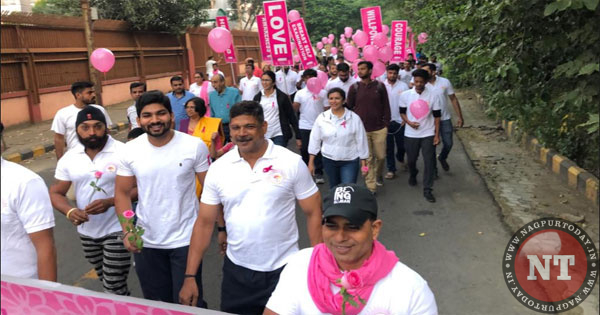 The month of October has been designated for creating breast cancer awareness across the country and the world.